← Cover Reveal Part Two! Hello everyone! So, today I’ve got a fun post for you! I’m part of a Release Blitz for the awesome author, M.R. 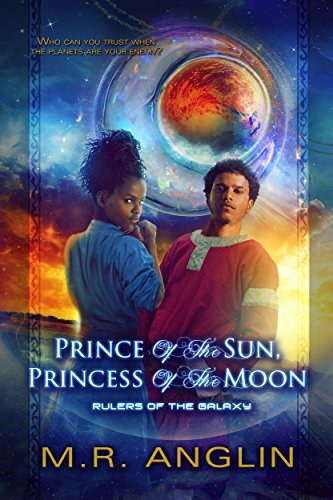 Anglin, and her newest novel: Prince of the Sun, Princess of the Moon. How cool is that? And be sure to scroll down to the end to participate in a cool giveaway! This book is an amazing sci-fi read! The world is very well created, and I love the characters in it. I especially enjoyed seeing the story from so many points of view, even those considered the enemy. There are quite a few surprises, and enough of a mystery to keep you reading until the very last page. And I loved the characters, and the development of each of them! This book is so interesting in that it feels like a YA novel, but it also fits as a middle-grade novel, and with enough intrigue for adults to enjoy as well. Altogether, this was a novel I thoroughly enjoyed, and one I highly recommend. I honestly can’t wait for the continuing stories of this series! Disclaimer: I did receive a free copy of this book for my honest review. All opinions are my own. For years the Moon Palace in the Valley of Aijalon and the Sun Tower in the Plains of Jashar has stood as testaments to the power of the sun and the graciousness of the moon. Helio and Lumina, Guardians of the sun and moon, kept watch over them and the Prince and the Princess who ruled them. But the Prince and Princess are missing, and the sun is exhibiting strange behavior. Now Joshua and his younger sister, Deborah, must untangle a web of lies and deceit to uncover the secret of who they really are and save their world from an imminent disaster brewing in the heavens. And they must hurry. Between the earthquakes, the sun and moon standing still in the sky, and the planet Jants hovering closer than it’s ever been, the planet could be torn apart before they have a chance to do something about it. “Mr. Delango.” Mrs. Blaine’s voice sliced through the air, jarring Joshua out of his thoughts. by their reaction, he had missed something important. “Perhaps you would like to elaborate on our topic?” Mrs. Blaine motioned to the blackboard. Joshua winced. He had been staring out of the window and had no idea what she had been talking about. were two halves of the best drink ever to have been invented. But now he shook his head at Joshua. “I tried to warn you,” he mouthed. remark with a smile meant to charm her. the walls . . . just a blackboard where Mrs. Blaine wrote her lessons . .
posters and charts plastered all over the walls. the first time someone remarked on the lack of decoration. solar system and its Guardians. Once finished, he faced Mrs. Blaine. “Is that correct?” He held out the chalk to her. written with her mouth set. Joshua shot a smile at her as he went. “See me after class,” Mrs. Blaine said. Joshua winced. One smart gesture too far. “Like what?” Neil whispered, copying the diagram. But Neil went on, ignoring Joshua’s annoyance, or . . . more likely . .
sun would never drift out of position on his watch. something was amiss. He had seen the sun doing strange things before. certain its rays were less intense than they should have been. and studying for tests to worry about. M.R. Anglin has always had a fascination with space—particularly the moon and stars. She also has three amazing nephews, two adorable “near-nephews,” and one brilliant niece, so it’s no wonder she eventually wrote a story that combines these loves into one. 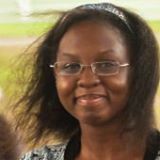 You can often find her gazing up at the Florida sky at night or hunching over her notebook/computer by day.She is the author of the Middle Grade novel, Lucas, Guardian of Truth, the self-published Silver Foxes series. She has also been included in the Coyotl Award winning anthology, Gods With Fur (FurPlanet 2016) and Extinct? (Wolfsinger 2017).